Best known for his landscape and rustic genre paintings, Frederick Hall was born in 1860 in Yorkshire where his father was a doctor. He first studied at the Lincoln School of Art before moving with the artist Frank Bramley to Antwerp to study under Charles Verlat. 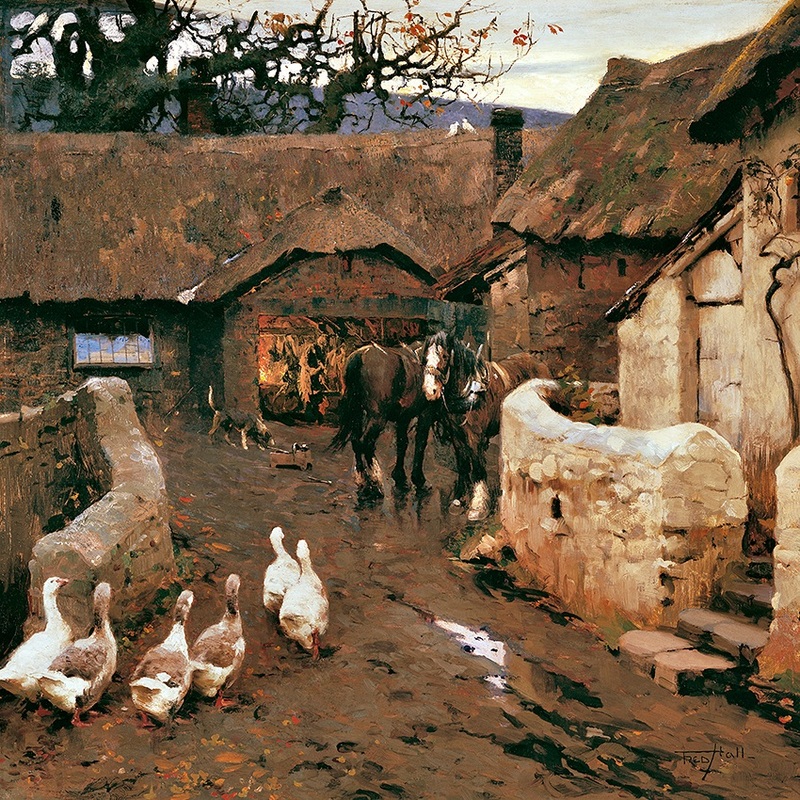 On his return to England he became one of the most permanent and accomplished members of the Newlyn School in Cornwall. 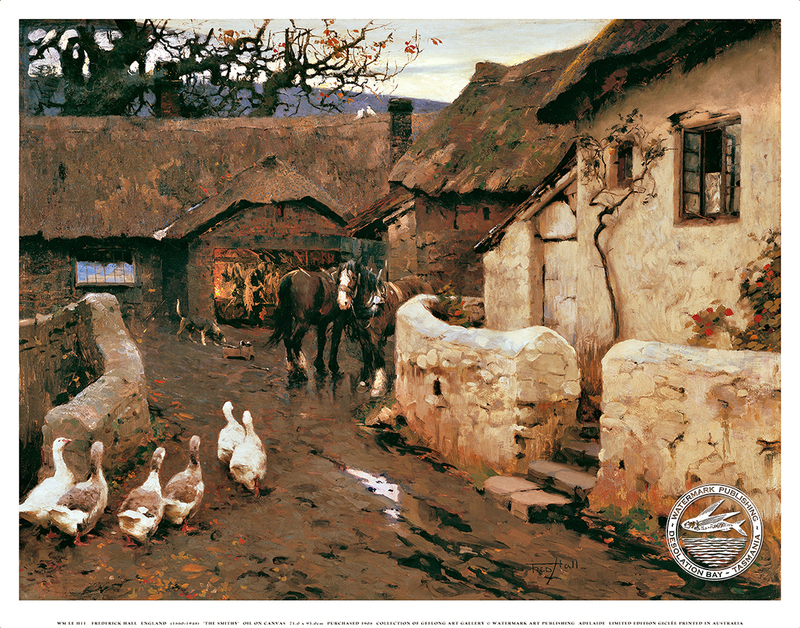 He worked there from 1883 to 1898 together with artists such as Stanhope Forbes and Frank Bramley. Continental training had exposed these artists to the work of French naturalist painters such as Jules Bastien-Lepage, Edgar Degas and Edouard Manet. Hall first started showing at the Royal Academy in 1887. He had previously exhibited his work at the Royal Society of British Artists, Suffolk Street (1883 to 1887). He also exhibited at the Grosvenor Gallery and New Gallery in England and later in Paris and Venice.